A Redland SES Rescue Team has proved again that their SES training, team work, leadership and clear thinking are a powerful winning combination by coming out ahead of Brisbane and Moreton SES in a test of skills at the 2016 Brisbane Region SES Rescue Competition. The Redland SES Rescue Team: L-R: Joel Muraca, Assistant Commissioner (SES) Peter Jeffrey, Justin Kirkby, Corey Armstrong, Tim Willis, Jenny Brown, Tristan Hardwick, Steph Samuels, and A/Local Controller Peter Gould. The team will now progress as one of seven SES teams from across Queensland to go on to compete in the State level challenge in Townsville in April 2017. 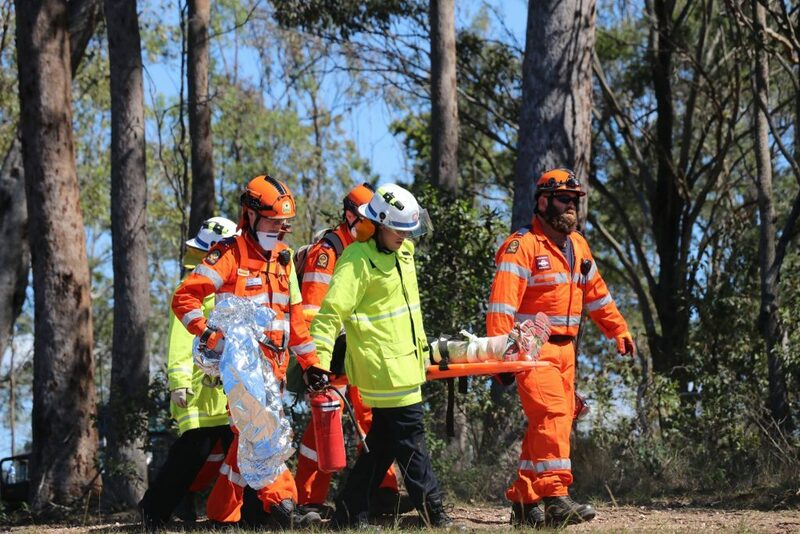 Held at Old Petrie Town on the weekend, the six person team needed to demonstrate search and rescue, water rescue and height recovery skills in three separate challenging scenarios while working successfully with other emergency services. 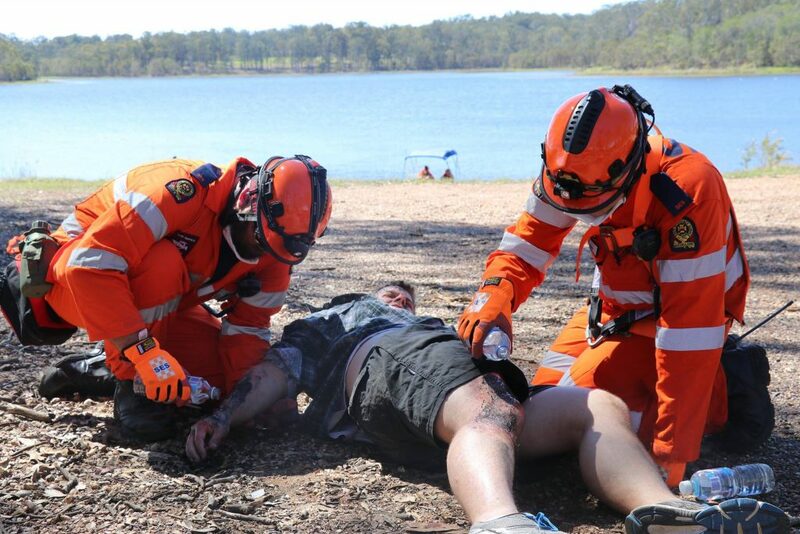 Run in unknown situations and environments while all under strict time pressure, the rescue teams were closely watched by a judging panel from Queensland Fire and Emergency Services (QFES) and other SES members from across the Brisbane Region. Redland Rescue Team leader Corey Armstrong said they were proud of their achievements as a team. “This exercise challenges you to employ multiple skills in realistic scenarios and the contributions of all the rescue team members are vital to success,” he said. “What is even more satisfying is that four of our volunteer team members have only been in the SES for less than 18 months and we were up against teams that had trained for five months or more prior to the challenge. “We had begun our own training just five weeks ago, so we are incredibly proud of our efforts. “The added time pressures such as one hour to find, treat and develop an extraction plan for three children lost in the bush, reminds you that time can also be a critical real life factor. Joel (left) and Justin (right) treating a casualty with severe burns to his arms, leg and face. The team had assistance from firefighters to safely extricate another casualty with severe burns and a fractured ankle. Redland City Mayor Karen Williams said the Redlands was immensely proud of the men and woman who are part of the dedicated Redland SES. 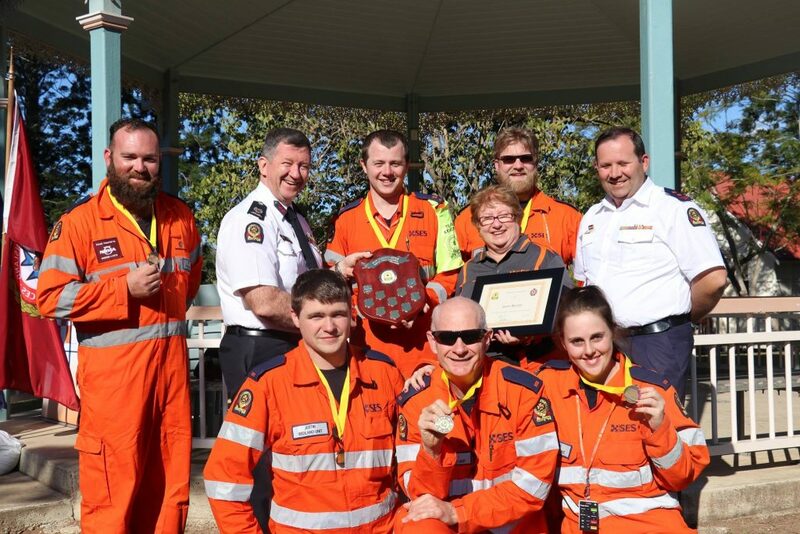 “The multi-award winning Redlands SES continues to distinguish itself as one of the Redlands’ and Queensland’s most dedicated and professional volunteer organisations,” Cr Williams said. “Their achievements and contributions have not simply been recognised in State and Regional awards over several years but in real emergency and disaster support they have provided across the Redlands, the State and even overseas. Posted in Community, Disaster management and tagged 2016 Brisbane Region SES Rescue Completion, Redland SES Rescue Team.